Parwanoo is a small village perched on the low rolling Shiwalik hills, which form the southern boundary of Himachal Pradesh state in India. The one-time sleepy little village is today a pulsating industrial town, famed for its fruit based products, plastics, motor parts and watch components. 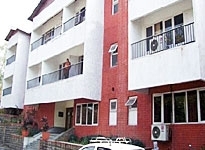 Visited regularly by a number of tourists and business travelers, Parwanoo offers ample accommodation options for visitors at the Hotels in Parwanoo. Parwanoo is situated near the largest lake in Himachal Pradesh, Lake Renuka, named after Goddess Renuka. 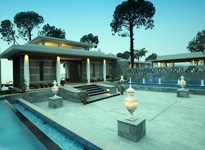 The village is also easily accessible from nearby tourist destinations like Dagshai, Subathu, Pinjore and Kasauli. 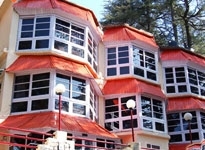 Hence, the hotels in Parwanoo serve as excellent base for exploring Himachal Pradesh and the major tourist destinations in the state. The hotels in Parwanoo are conveniently located in the town, being in close proximity to the major landmarks. 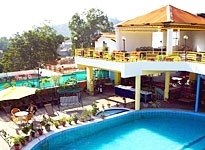 Acclaimed for providing the best of comforts amidst exotic locales and traditional hospitality, Parwanoo hotels are equipped with all latest amenities, to make your idyllic holiday in Himachal Pradesh all the more invigorating and memorable. Most of the well known hotels in Parwanoo boast of exotic locales, wherein they are surrounded by blooming orchards, trekking trails and scenic surroundings. These hotels and resorts are the favorite haunts for honeymooners, trekkers and nature lovers. 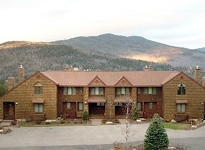 The various hotel packages at the hotels in Parwanoo come with the best of facilities in terms of food and lodging. 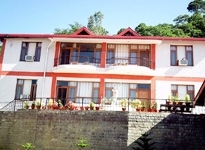 Designed to suit the demands of various economic groups, the Hotels in Parwanoo in Himachal Pradesh range from posh luxury hotels to medium priced hotels and even cheaper Budget Hotels. 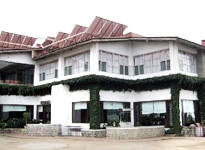 Parwanoo Hotels offer excellent services to business as well as leisure travelers.The tastefully furnished rooms and excellent dining facilities at the hotels in Parwanoo will make your holiday all the more fascinating and memorable. Besides, these hotels offer state of the art conferencing and banqueting facilities and a host of recreational activities for guests to indulge in. Equipped with all amenities of modern-day comfort, the hotels in Parwanoo will strive for that extra hard to ensure that you return home with fond memories of a wonderful holiday.